Building lifter widely applies to such construction sites as industrial and civil architecture, bridge, underground, large chimney, and ship industry etc. It suits the vertical transport of materials and people and also suits such different occasions as warehouses, high towers, etc. It is installed and dismounted conveniently and can grow as high as the building grows height. The lifter has such advantages as steady property, safety, reliability, flexible carrying, and good adaptability, improves working efficiency, and can reduce workers’ working intensity. 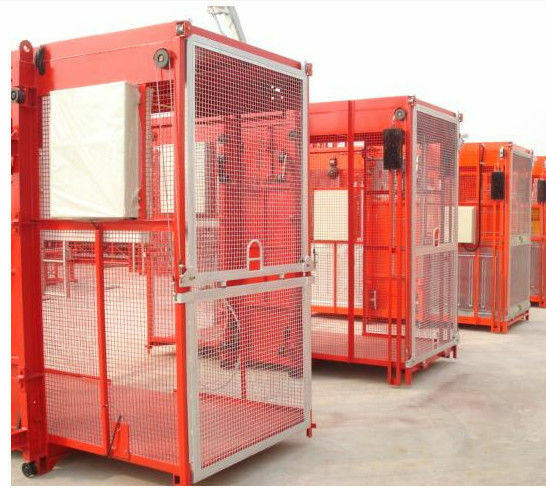 It is efficient and safety vertical transporting equipment for construction site. 3. Top Quality in Chinese market. Construction hoist elevator is a conveying machine for materials and worker. It can be widely applied in building construction, mining, multi-story workshop, warehouse, station, wharf and other industrial construction etc. It is convenient, efficient, and safe.